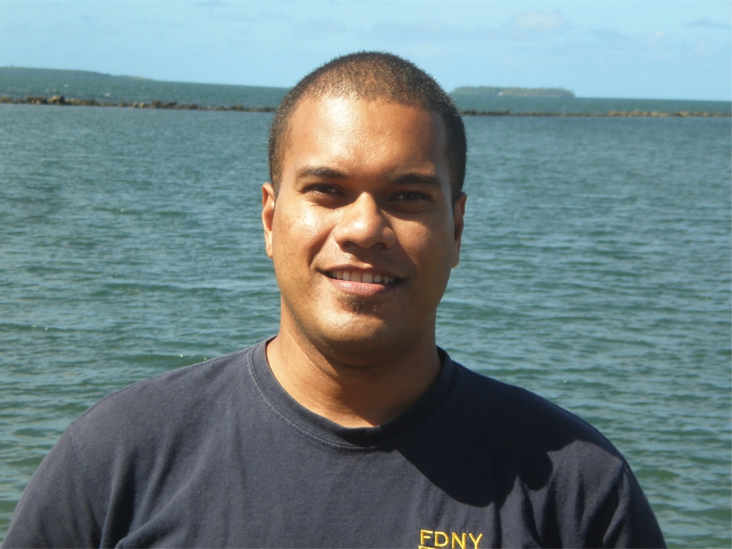 Bula and happy World Oceans Day from Fiji! Our campaign to create Melanesia's first shark sanctuary is moving forward. The government is close to making a decision on shark protections for all of Fiji. However, the tuna industry is pressuring government to carve out loopholes that would allow them to continue fishing at current unsustainable levels and we need YOU to add your voice to the chorus supporting a shark sanctuary with full protections. At a public hearing last month, over 100 people showed up to testify in support of full protections, but it was not enough. Please help us show government we support their efforts to protect sharks. 1. 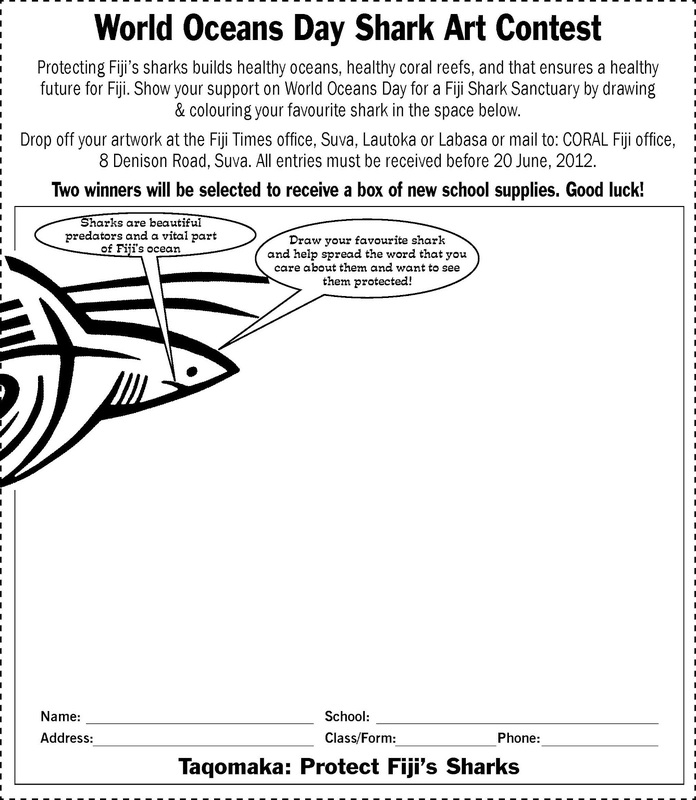 Participate in the Fiji Times World Oceans Day Shark Art Contest. 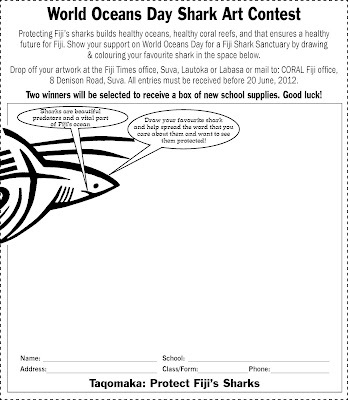 Print the graphic above and then draw and colour your favourite shark. Drop off your artwork at the Fiji Times in Suva, or mail to: CORAL Fiji office; 8 Denison Road; Suva, Fiji Islands. You can also photograph or scan your artwork and post it to Facebook, Twitter, or Pinterest. Make sure you tag it with @SharkDefenders and #FinSanity. Prizes are only available for students living in Fiji, but no matter where in the world you live, we want to see your artwork!